Jane Draycott is a poet whose collections from Carcanet Press include The Occupant, Over (nominated for the 2009 T.S. Eliot Prize), The Night Tree, and Prince Rupert’s Drop, (shortlisted for the Forward Prize for Best Collection). A Next Generation 2004 poet and previous winner of the Keats-Shelley Prize, her poetry has been shortlisted three times for the Forward Prizes for Poetry, including work from her collaboration with artist Peter Hay, Tideway (Two Rivers Press), about the working lives of the London watermen. Her 2011 translation of the medieval elegy Pearl was a Times Stephen Spender prize-winner, and her latest collection of translations Storms Under the Skin: Henri Michaux Selected Poems 1927-1954 (Two Rivers Press) is a PBS Recommendation. 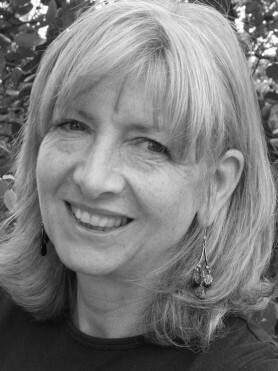 Jane Draycott’s interest in dream narrative and elegy has led to developing associations with mental health-care professionals, including writer-psychoanalysts Adam Phillips and Caroline Garland, via the British Psychoanalytical Society, the NHS Tavistock Centre and the Freud Museum, London. Other collaborations have included Christina the Astonishing, a meditation with Lesley Saunders on the life of the medieval saint reputed to have flown like a bird from her own coffin, and three projects with the British Film Institute: Essentially British (2008), Psychopoetica (2011) and Poets for Pasolini (2013). Her sound-montages with poet Elizabeth James for BBC Radio 3 (Sea Green I) and LBC (Rock Music, recorded at the Wallace Collection and on a rock face in the Wye valley) have won BBC Radio 3 and London Sound-Art awards. A trained teacher with many years’ experience working with international students, Jane developed the trAce /British Council Transcripts project (S. Asia) and was a mentor on the Crossing Borders project (Africa) with the British Council/Lancaster University. She currently teaches on postgraduate writing programmes at Oxford University and the University of Lancaster. Poetry Break: Jane Draycott and Julia Copus on ‘God’s Grandeur’ and ‘Felix Randal’ by Hopkins. Jane Draycott reads from medieval poem Pearl and her modern translation of it, and Carole Angier begins to write poetry. Jane Draycott speaks with Julia Copus about translating the mediaeval poem "Pearl"
Jane Draycott considers a writer’s inner travelling companions, and Miranda France explores the challenges of finding your writing voice.